New Hampshire Hearing Institute (NHHI) audiologists work diligently to provide the most comprehensive hearing health care available. We use state-of-the-art technology to help us pinpoint any hearing or balance disorders, and then create an individualized treatment plan to ensure all of your hearing and balance related issues are properly addressed. 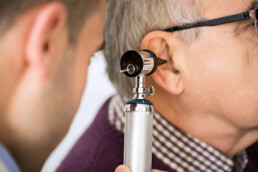 At NHHI, we take the time to evaluate each facet of the problem to ensure proper diagnosis of the cause, type, and severity of hearing loss and/or balance issue you may have. Subsequently, our staff will recommend the best treatment option to address your specific needs. Please call NHHI at (603) 792-4327 to schedule your consultation.